. . .Glimmered the white Moon-shine. 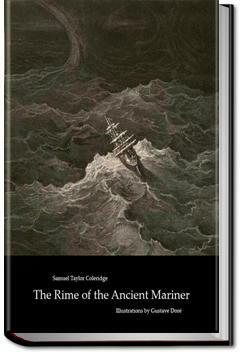 "God save thee, ancient Mariner! From the fiends, that plague thee thus!— Why look'st thou so? "—With my cross-bow I shot the ALBATROSS. If all poetry books were like this, I would never read any prose. "Hey, where were you last night?" Water, water, everywhere, And all the boards did shrink; Water, water, everywhere, Nor any drop to drink. Definitely in my top 10 favorite poems. I love the way it flows; the lyrical rhythm "soothes the battered soul". So why did the Ancient Mariner shoot the Albatross? Whenever I come to this poem the first thing that comes to mind is the song by Iron Maiden (unfortunately I don't think they did a video clip – which would have been awesome in its own right).